University of Queensland research is helping identify the safest geological conditions to store CO2 emitted from power plants deep below the surface, to help Australia reduce its emissions in line with the Paris Agreement. Research fellow in UQ's School of Earth Sciences Dr Julie Pearce said burning fossil fuels had increased CO2 in the atmosphere and oceans above naturally-occurring levels. "While carbon dioxide is vital for life on earth, we're emitting way too much of it, which is contributing to global climate change and ocean acidification," she said. "The technology known as carbon dioxide capture and geological storage has been approved by the United Nations' Intergovernmental Panel on Climate Change to mitigate climate change." "A pilot project is already being conducted by the CO2CRC Ltd at Otway in Victoria, as well as overseas. Dr Pearce said Australia was set to introduce capture and storage systems by 2030. "Our project at UQ is looking at the reactivity of the storage system rocks, identifying the best geological conditions for storing CO2 underground, and also developing tools to monitor CO2 once it's injected a kilometre under the Earth," she said. "For CO2 storage to be deployed large-scale, its viability in terms of containing the injected CO2 and the long-term safety needs to be determined at each site." Dr Julie Pearce at a field test site in Victoria. Dr Pearce said CO2 storage already occurred naturally in some types of rock formations, which had trapped fluids containing CO2 for millions of years and converted CO2 to carbonate minerals. Research has found these formations could hold vast amounts of CO2, potentially equivalent to hundreds of years of human-made emissions. 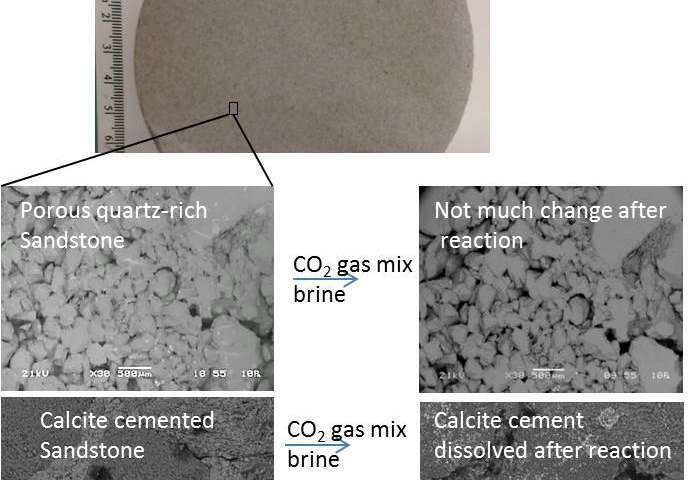 She said the proposed new technologies captured CO2 from power plants and injected them into porous rock such as sandstone. 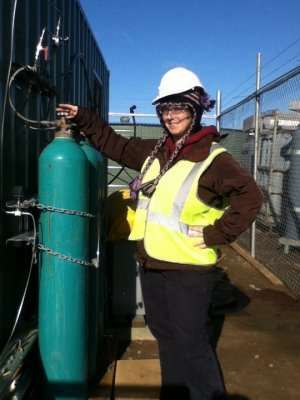 "We've been conducting research on underground storage for almost 10 years and have looked at the effect of injecting CO2 on different rocks containing different minerals like carbonates and clays to identify changes and optimal conditions to trap the gas," she said. "As far as I am aware, there have been no problems with underground CO2 storage either in Australia or overseas, but that is why we conduct stringent research, to ensure we identify any potential risks and develop risk mitigation strategies.